How to integrate forest education into school programme on a daily basis? How can forest experts and teachers cooperate to make work with students more efficient? These and other questions will be answered in the 14th European Forest Pedagogics Congress, which will take place in Riga and in Latvia’s State Forest Nature Park in Tērvete from 1 to 4 July. The Congress is hosted by JSC “Latvia’s State Forests” (LVM) in cooperation with the National Centre for Education of the Republic of Latvia and Riga Technical University. Designing bridges between forest and schools is the central theme of the Congress this year. The programme includes a number of theoretical and practical activities, developing new teaching methods, as well as exchange of views of experienced Latvian and foreign lecturers, forest experts on different topical issues of forest pedagogy. On special outdoor excursions, the participants will have an opportunity not only to get to know Latvian traditions and one of its greatest riches – the forest, but also to acquire new ideas and inspiration for their everyday work. 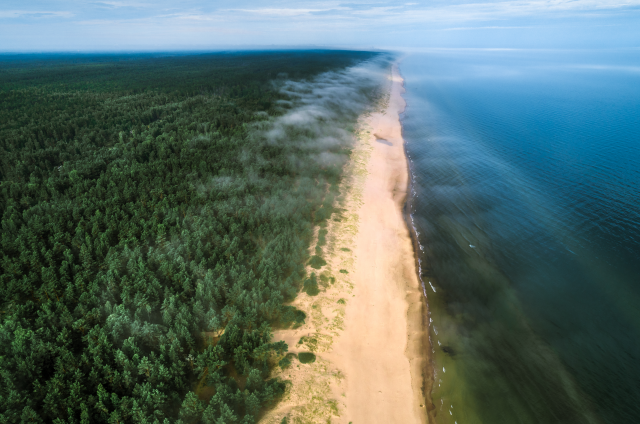 On the first day of the Congress, the participants will meet in Riga to explore the Latvian state forests that adorn the coast of the Baltic Sea. The activities of the second day of the event will take place at Riga Technical University, where teachers from Latvia will join the Congress participants. All interested will have an opportunity to take part in various think tanks and workshops, where new teaching methods will be developed based on forest pedagogy. Lecturers from Latvia, the Czech Republic and Germany will share their experiences on matters such as restoring the relations between forest and people, cooperation between forest workers and educators as a basis for sustainable development, and other topical issues. On the third day of the Congress, the participants will visit Latvia’s State Forest Nature Park in Tērvete to participate in the “market of ideas”; in turn, in the second half of the day time will be devoted to “Pecha-kucha” presentations. These are 6-minute presentations, where forest industry experts such as Daiga Brakmane and Mihails Basmanovs, representatives of the project “Skola 2030”, and Kristaps Ceplis, Head of the society “Zaļās mājas”, will share their experiences. After each presentation, there will be an opportunity to discuss the issues concerned. Applications for the Congress are open until 31 May this year. All information in English and registration form can be found here. The event is supported by the Forest and Wood Products Research and Development Institute MeKA, the Ministry of Agriculture of the Republic of Latvia, the Latvian Forest Research Institute “Silava”, the society “Zaļās mājas”, the Latvian Environmental Protection Fund, the Interdisciplinary Centre for Educational Innovation of the University of Latvia and the project “Skola 2030”. The European Forest Pedagogics Congress is organised annually to provide a platform for the exchange of experiences in the field of forest pedagogy. The continuity of congress is guaranteed by the Forest Communicators’ Network – Subgroup Forest Pedagogics that is part of both the UNECE Timber Committee on Forests and the Forest Industry and the FAO European Forestry Commission.